Why am I disappointed, you may ask? Well for several reasons. 1. I found out this may be the last book in the series since the contract which means no more stories unless Jenna Black publishers say otherwise. Ugh! 2. I hated how the book ended. There are scenes left that can be played out and finish. 3. I’m upset what happened between the Seelie Queen, the Erkling and Dana. I was hoping the Erkling would pursue Dana more. Maybe I was hoping for the Bad boy to get the girl once in a while. I do love Ethan in the story, but I was hoping for more action in this story. Just not Dana is whining and complaining about everything and lying to her friends and family. I was expecting more from this book but ended up just getting the minor storyline that wasn’t very surprising. I predicted there was another thing hidden in the story that everyone will find out later. Dana wasn’t alone. I was looking forward to reading more about the Erkling…not him giving up so quickly. On to another series, I guess that may catch my attention more. 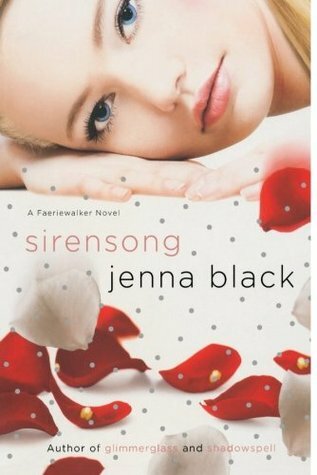 I have to say this though…”Shadowspell” will forever be my favorite book out of the series and I can’t condone Jenna Black for that book. That book had me on the edge of my seat the whole time. I wish Sirensong would’ve been more like that.